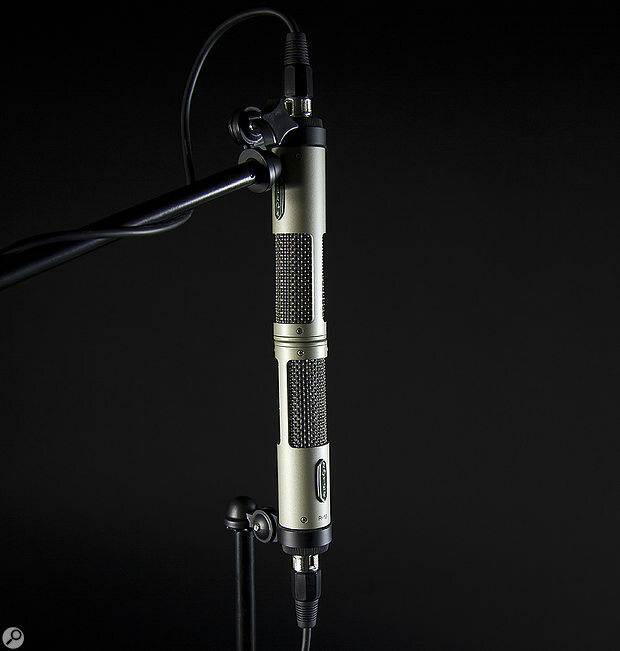 The R-10 is Royer’s most affordable ribbon mic to date. Find out how it performed in our tests. American ribbon microphone manufacturers Royer will celebrate their 20th anniversary next year. The company were established by David Royer in 1998 to build and market his own modern ribbon microphone designs, following a lifelong interest and professional involvement in both microphones and audio electronics. There are two distinctly different transducer designs employed in the Royer microphone line-up: the R series and the SF series. The first is optimised for high sound-pressure levels and close-miking applications — a rock & roll ribbon, if you like — whereas the second takes a more traditional approach and is aimed towards classical and more distant miking applications. The company’s first products were the R-121 and the stereo SF-12, both of which were quickly adopted by leading recording engineers around the world, and both are still manufactured today. However, Royer’s product catalogue has now expanded considerably to include a mono mic with the SF-series transducer as well as active variants with solid-state or valve electronics. The range also includes more robust and lower-cost models intended specifically for the live-sound market. The latest addition to the R-series family is the new R-10 — a distinctively different compact passive ribbon mic intended for both live-sound and project-studio applications. These are both very cost-conscious markets of course, but also much higher-volume markets than might be expected for the company’s flagship R-121 ribbon mic. As a result, Royer have managed — without cutting corners or quality — to engineer the R-10 in such a way that it can be offered at around £500less than $500 in the USA. This is an impressive achievement by anyone’s standards, but especially since this new design is still hand-built in Burbank, California; still employs Royer’s patented R-series ‘offset ribbon’ technology; includes the R-101’s windscreen and internally shockmounted ribbon transducer; and features a new custom step-up transformer designed specifically for this microphone by David Royer. To put its price in context, the R-10 is around 40 percent less than the R-101, and almost 70 percent less than the flagship R-121! Naturally, such a significant cost reduction compared to the company’s other models will concern some readers, but this new ribbon mic doesn’t compromise on the renowned Royer craftsmanship and quality of any element within the microphone. The cost reduction is through clever engineering, anticipated greater sales quantities, and having the mic body’s metalwork fabricated in Asia. In every respect, though, this is most definitely still a Royer ribbon mic with all the quality that we associate with the brand, and the company recommend it for use on electric guitar amps, brass instruments, drum overheads and the like, as well as for vocals, strings, acoustic guitars and more. Perhaps not surprisingly, the new R-10 is derived from the already very well-proven R-101. Apparently, a couple of Royer engineers were experimenting with different ideas on an R-101. They shortened the barrel length, removed the slotted grille to give a more open space around the transducer, altered the framework inside the mic, and so on. The resulting experimental prototype became known as ‘Stumpy’, and further development work led to the R-10. So, the R-10 is physically smaller than the R-101, measuring around 50mm shorter at 149mm. It also has a very slightly narrower diameter at 35mm, and is over 100g lighter than the R-101 at 368g, but 125g heavier than the R-121 and — surprisingly — almost exactly the same weight as the wonderful Royer SF-12 stereo ribbon. In the hand the R-10 feels like a solid, chunky, and robust microphone, well up to the rigours of stage work. Like most of its siblings, the R-10 sports a green lozenge badge to identify the front, along with an engraved model number. The serial number is printed on the base of the mic around the threaded stem that houses the output XLR connector. However, instead of an elaborate cat’s-cradle shockmount, the R-10 ships with a simple swivel-mount that screws onto the mic’s threaded stem. This simple arrangement has the twin advantages of lower manufacturing costs and a smaller, neater ‘footprint’, which makes it easier to place the mic in tight spaces. Since ribbon mics are inherently sensitive to shock and vibration, the R-10 uses a very similar internal shockmount system to the R-101 — it’s just been reworked slightly with a simpler frame to fit into the smaller body and to reduce manufacturing costs. We all know that ribbon mics can be susceptible to damage when exposed to strong air currents, but when close-miking guitar cabs and brass instruments strong air currents are inevitable. Royer tackle this potential problem by using the same well-proven three-layer wire-mesh screen employed in the R-101 but, uniquely for a Royer mic, the familiar slotted grille arrangement has been replaced with a more conventional open grille. Again, this brings more benefits starting with less machining of the microphone’s body and thus lower manufacturing costs. It also minimises the high-frequency standing waves that can build up between the mic body’s metalwork and the transducer assembly, reducing comb-filtering effects and helping to deliver a smooth, uncoloured high-frequency response. Like all of the other R-series mics, the R-10 features the same ribbon motor assembly, which features a 2.5-micron thick, medium-length, pure aluminium ribbon. This ribbon is also shaped with Royer’s direct-corrugation process, which helps to make it more robust than traditional old-school long ribbons and much less prone to stretching and sagging. The offset ribbon technology mentioned above describes the way in which the ribbon is suspended closer to the front edge of two extremely powerful Neodymium magnets, rather than in the centre, as might be expected. The ribbon is also protected by damping mesh screens, which limit its maximum excursion, and this technology apparently helps to maximise the linearity when handling high sound-pressure levels. And that is a major strength of the R-series transducer: an ability to accommodate remarkably high SPLs, here meaning around 135dB SPL at 20Hz, and over 160dB SPL at 1kHz. This is very impressive indeed — more than most capacitor mics! 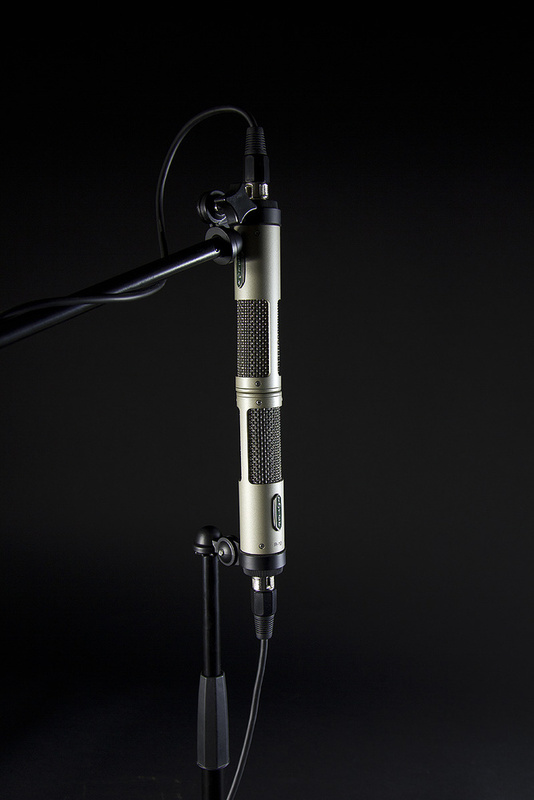 — and gives rise to the ‘tough ribbon’ reputation that Royer’s R-series mics have built up over the last two decades. It also explains the five-year warranty. (If needed, the first re-ribbon is free in the first year). Of course, such high SPLs don’t only challenge the ribbon element; the output transformer has to be designed to cope with very high signal levels too, without saturating and introducing unwanted distortion. David Royer addressed this point in the R-10 with a new custom-designed transformer, which is 5dB less sensitive than previous designs, and also less expensive to manufacture thanks to the anticipated greater production quantities. An important side-effect of the offset-ribbon transducer is that it endows the microphone with slightly different tonal (and maximum SPL-handling) characteristics for sounds arriving at the front and rear. The front (badged) side can handle very high SPLs while the rear sounds a little brighter when working with close sound sources (within about a metre), but cannot cope with quite such large SPLs. The slight extra brightness results from a resonance effect created by the rear cavity formed by the ribbon and magnets. During manufacture the ribbon is hand-tensioned to resonate at 40Hz, which is higher than most of the classic long-ribbon mics, which tend to be tuned in the 10-15 Hz region. Also, the wiring around the ribbon is cunningly arranged to form a humbucking loop, helping to reject electromagnetically induced noise — which is very useful when miking up guitar amps with large mains transformers radiating strong magnetic fields! As a result, Royer claim the mic is as quiet (in terms of external interference) as the flagship R-121 model. In terms of sensitivity, the R-10 is specified at 2mV/Pa, which, as a frame of reference, is about 2dB more sensitive than a Shure SM57. In comparison to other Royer models it is roughly 6dB less sensitive than the R-101, and 4dB quieter than the R-121 — a deliberate design decision intended to give more headroom on loud sources, making it practically impossible to overload the mic. In practical terms, when used to capture sources like electric guitar amps, drums or brass instruments, the output level will be more than sufficient for any typical mixer or computer interface preamp. If used on quieter acoustic guitars and gentle vocals, a preamp offering 65dB gain or more would be helpful, but an inline gain stage (like a Cloudlifter or FetHead) could also be used if necessary. At 100Ω, the nominal output impedance of the R-10 is lower than most microphones, which are typically either 150 or 200 Ω. This is undoubtedly due to the R-10’s bespoke output transformer, as the R-101 and R-121 both have an output impedance of 300Ω. However, this is no bad thing as a lower output impedance helps to reduce the connected preamp’s (Johnson) noise contribution. The R-10’s published specifications recommend use with a preamp input impedance of greater than 700Ω, although most preamps will be upwards of 1.5kΩ anyway (and dedicated ribbon preamps typically present more than 10kΩ). Also from the specifications, the frequency response is quoted as 30Hz to 15kHz with a ±3dB tolerance. Obviously the low-end response is influenced by the mic-source distance, although the proximity effect isn’t as pronounced in the R-10 as with many other ribbons — again a deliberate design choice to make it easier to close-mic guitar amplifiers and the like. The high end could be described as being slightly soft as the frequency response exhibits a downward slope tending towards a very gentle 3dB/octave from about 5kHz, before falling more steeply above 15kHz. However, to my ears that translates into a smooth and warm character, rather than an obvious lack of brilliance and, very importantly, where a brighter sound is desirable the mic can either be rotated to place its rear side towards the source (if it’s not too loud), or high-shelving EQ can boost the high end very effectively. Like all ribbons, the R-10 can be EQ’d without bringing out any harsh resonances or distortion. For this review, Royer supplied a matched pair of R-10s, which ship in a smart foam-lined case. Matched pairs have consecutive serial numbers, and the case contains the two mics (shipped in plastic bags), two swivel-mounts, and a pair of cloth storage pouches. As I mentioned earlier, the mics feel very solid and reliable, and the swivel-mounts work well, although I can imagine that in some extreme circumstances an external shockmount might be beneficial (a Rycote Studio In-Vision mount isolated the mic from foot-tapping vibrations near its stand very well!). I used the R-10s on a couple of friends’ guitar amps in a rehearsal studio, as well as placing them as overheads on a drum kit, and in front of a cornet player. I also compared them against my own AEA R92 ribbons, which are similarly optimised for close use on guitar amps and the like. The R92 is priced on a par with the Royer R-101, but has similar sensitivity and a similar maximum SPL rating. When placing the R-10s in front of the guitar amps I positioned them mid-way between the centre and edge of the speaker cone, and tilted the mics forward at an angle of about 30 degrees. This is a technique I was taught long ago as it helps to protect ribbons since the sound waves move along the ribbon, rather than hitting it square on. It’s probably an unnecessary practice with the R-10, given its massive SPL capability, but old habits die hard! I have to say, the raw results from the R-10 were very impressive, with that classic ribbon-mic warmth and body, and a very smooth, natural-sounding and un-hyped top-end. The latter was especially noticeable on the cymbals and brass, of course, and for many live sound applications I doubt much EQ would be needed at all. I rolled out some LF from the R-10s on the guitar amps, to compensate for the slight lift due to the proximity effect, and I dialled in some shelving boost from 10kHz on the brass and drum overheads — both with perfect results. In a recording situation, I expect most would desire a little more airiness and sparkle than the R-10 naturally provides, but that is accomplished very easily, and without any undesirable side-effects. Indeed, the results sound more sweet and natural than most large-diaphragm capacitor mics being boosted by a similar amount. In comparison with the company’s flagship R-121 (borrowed from a friend), I would say the R-10 is a little duller-sounding, and the low end doesn’t seem quite as well controlled. However, these are very small differences given the enormous price reduction, and certainly not likely to put anyone off the R-10. However, given that the same transducer is used in both mics I enquired as to what lay behind these tonal differences, and was told by Royer that they are due to the different transformer and body style, which makes sense. Compared to the R92s, I felt the R-10 had a better overall balance — the R92s seemed to have a slightly inflated low end, though were perhaps a little crisper and more extended at the top-end (with flat EQ). The compact size and elegant swivel mount did make positioning the R-10 rather easier than the AEA R92, though, which can be a significant issue in live sound applications. Ribbon mics are the perfect tonal complement for guitar amps, delivering the warmth and body of a dynamic mic with the crisp transients and speed of a capacitor mic — but without the phase problems associated with the popular twin-mic approach. However, it’s an application I usually approach with some trepidation. I have painful memories of wrecking more than one BBC 4038 ribbon mic in front of guitar amps in my former career! Thankfully, modern ribbon designs are generally more robust, and the R-10 is clearly a very reliable performer in this role, so this classic miking technique can be enjoyed without concern — as evidenced by a great many Royer customers who employ R-series mics in front of very loud guitar amps on stage and in the studio with great results. By launching a mic as cost-effective as the R-10, Royer might appear to be weakening the market for its more expensive models. However, while the R-10 is an outstanding microphone for the price, the R-101 and R-121 both offer technical and sonic advantages which will be appreciated by those with larger budgets. Nevertheless, the R-10 does bring the Royer brand to a new customer base, with an impressively balanced and robust microphone, perfectly conceived for the live sound and project studio markets, and it suits a wide range of applications. It will also, undoubtedly, entice some customers to progress up the Royer range as their experience and expectations of high-quality ribbon microphones develop. Ribbon mics fell out of popularity, unjustly in my opinion, for more than 50 years. But with better magnets, more robust ribbon materials, and quieter mic preamps the ribbon microphone is now seeing a well-deserved popular resurgence, championed by good-quality designs like the R-10 and its siblings. I have long been an admirer of Royer’s microphones, having used the SF-12 and R-121 models numerous times, mostly on classical and choral recordings. I also own a pair of active SF-2s, which are lovely microphones, and if I did more guitar and drum recording than I do, the R-10 would make a very sensible and versatile addition to the arsenal. This is an impressive microphone at an attractive price, and it’s well worth an audition by anyone tempted to enter the world of high-quality ribbon microphones, especially if previously put off by fears of excessive delicacy and damage. I’ll be sad to see the R-10s go. There are a lot of ribbon mics around now, spanning an enormous range of budgets. Models that broadly compare price-wise with the R-10 include the Coles 4030L, Peluso R14, Rode NTR (active), sE Electronics VR1 Voodoo (passive) and VR2 Voodoo (active), and Sontronics Sigma (passive) and Delta (active) microphones. A very attractive, compact, and robust ribbon mic. Capable of handling extremely high SPLs. Intended for close-miking applications, with a well-controlled proximity effect. Wonderfully smooth and natural-sounding high end and transients. The R-10 doesn’t quite match the extended high end and precision of the flagship R-121. In extreme conditions, an external shockmount may be required. Royer’s most affordable ribbon mic yet, derived from the well-proven R-101 and sharing all of that model’s core technology but in a smaller, simpler package. It is extremely robust, with a massive headroom that makes it ideal for use on loud sources like guitar amps, brass and drums, as well as vocals and other sources. £540 each, matched stereo pair £1110. Prices include VAT. $499 each, matched stereo pair $1048.